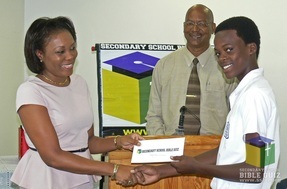 Romano Rodney of Adelphi Secondary School receives his prize presented by Monique Mills of Acute Cosmetics. 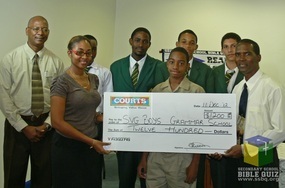 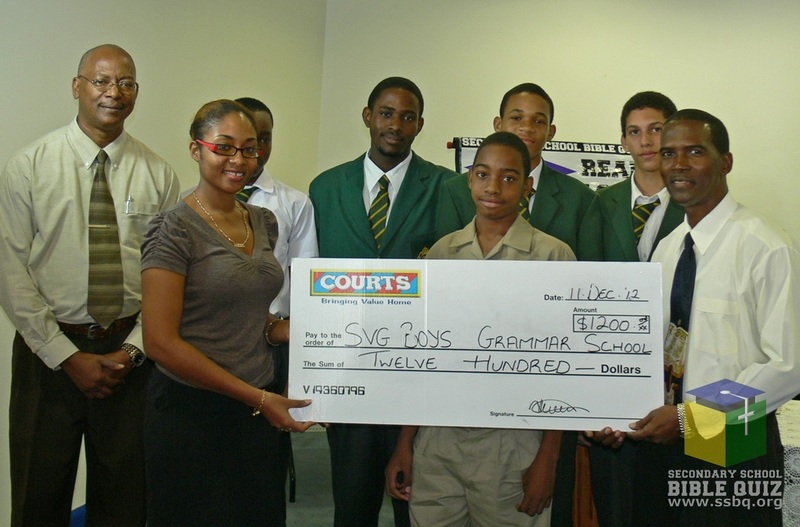 St. Vincent Grammar School receives prize presented by Marketing Assistant at COURTS, Nolisha Miller. 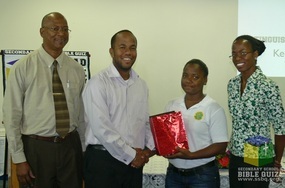 Kenichia Charles receives her prize, presented by, R.T Luke V. Browne, with Joel H. Jack and Jehann Jack.